Assess your Customer Service staff. The PROFILES CUSTOMER SERVICE PROFILE™ is used primarily for selecting, onboarding and managing customer service employees. In today’s business world, it can be difficult to select employees with the correct behavioural characteristics for customer service jobs. 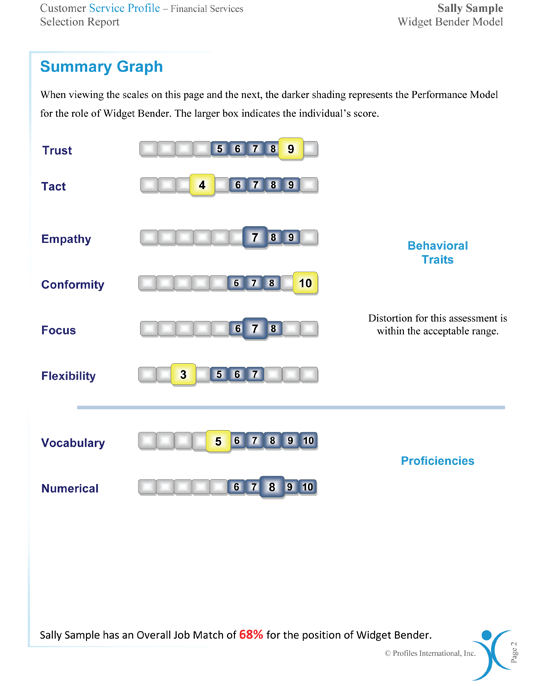 The PROFILES CUSTOMER SERVICE PROFILE™ is a customer service assessment that measures how well a person fits specific customer service jobs in your organization. This employee assessment is based on various characteristics identified through Profiles International’s carefully compiled research. It includes a customer service skills test and customer representative test. There are also vertical specialty versions available in hospitality, healthcare, financial services, and retail. The PROFILES CUSTOMER SERVICE PROFILE™ is used primarily for selecting, onboarding, and managing customer service employees. "We use Profile’s Customer Service Profile™ to select call center reps who fit the culture of the clients that they ultimately serve. 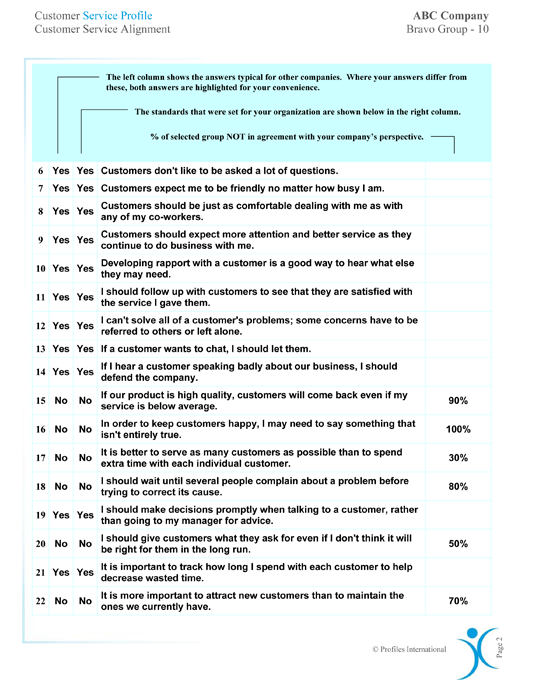 This results in more satisfied customers, and helped us improve reps retention by 45%." Helps managers understand the individual's behavioural characteristics, proficiencies, and service perspective as they prepare for the interview. Useful to the manager as a development tool. 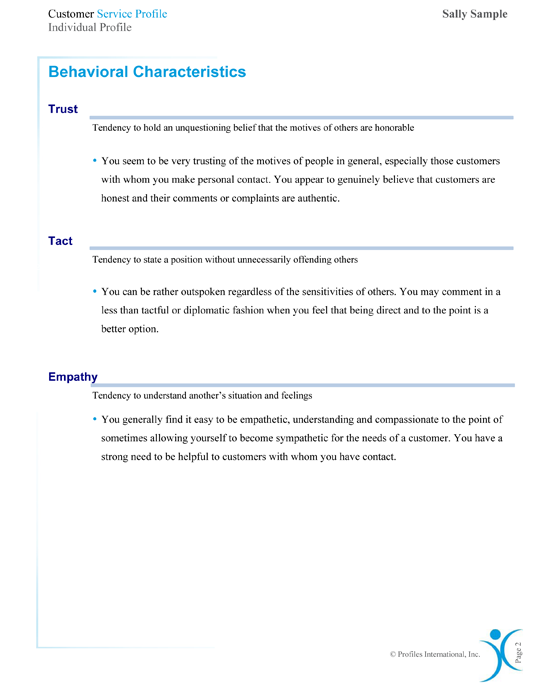 Helps managers understand the individual's behavioural characteristics, proficiencies, and service perspective. Also provides considerations for employee development. This report compares your company's service perspective with that of other companies in your industry and shows the percentage of people who don't agree with your organization's service perspective. "A leader is not an administrator who loves to run others, but one who carries water for his people so that they can get on with their jobs"